I was excited hearing the opportunity that our church will hold another Medical Mission. This is the third Medical Mission of Christ Stewards Fellowship. Pastor Celso got to meet Dr. Joy Tica of Hemmi Medical Mission in California last July. After coming back from the US, Pastor Celso nor the church had any plans of having a medical mission for this year. What we initially planned was a huge Evangelistic Gathering here in the city. This September, God moved us to contact Hemmi Medical Mission as we thought that it would be better to spend money for medical mission a greater need for now; rather than the crusade that would also cost huge amount of money. Being a Local Church located in Barangay 21, part of the City Proper of Batangas City we would want to have a greater influence in the community at the same time show them the love of God as what he commands to every Christian believers. 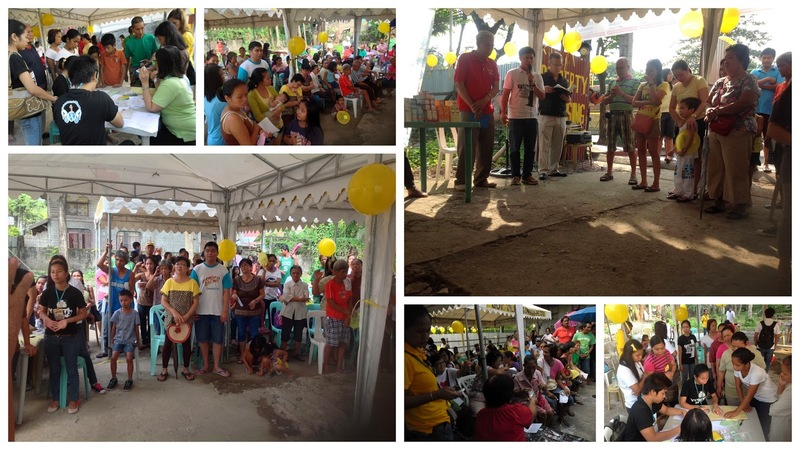 This made us decide to have Barangay 21 residents as the recipient of our good endeavor. 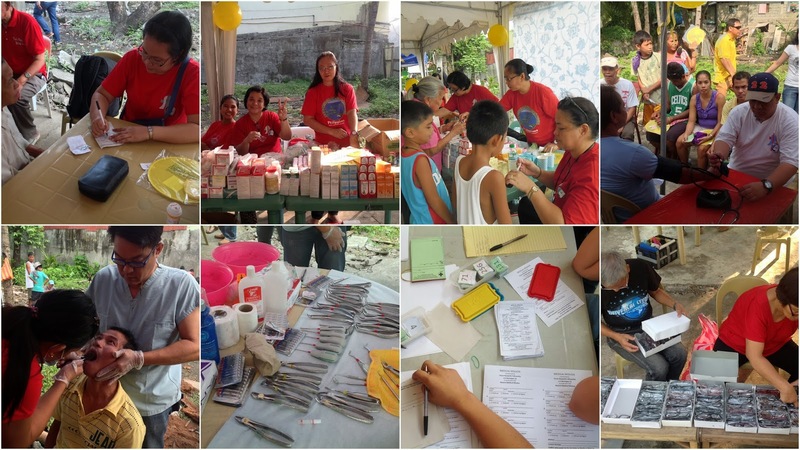 The Barangay Officials are very accommodating to the needs of this Medical Mission. Their efforts made part with this success. I am also delighted seeing also Christ Stewards Fellowship members join and support the whole program since the preparation. Each did their own part heartily, indeed they are growing in their faith and love for the Lord. We also recognize those groups and individuals who supported us financially. With your monetary help we were able to completely mobilize. We thank the Lord for His provision through you and how He has touched your heart to support us so we can reach out for Barangay 21 and show them Christ's love. In unity and full coordination, we had a very smooth flow of the whole program. Everyone were happy and excited. One hundred fifty (150) individuals raised their hands professing that they accepted Christ as their personal Savior. We had a total of three hundred seventy three patients (373). Fifty eight (58) pediatric check-ups, fifty seven (57) adults for medical consultation and check up, one hundred ninety two (192) consultations for Ophthalmology who were also given with the necessary grade of reading glasses, thirty seven (37) patients for tooth extraction, and thirty five (35) patients for deworming. Each patients received free medicines too as prescribed to them by our medical doctor on duty. 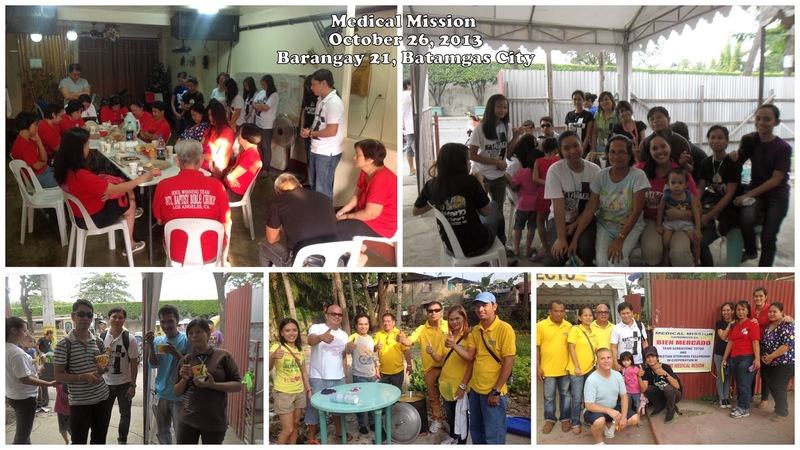 Praise the Lord for this successful Medical Mission! And we are praying for more opportunities of serving our brethren to made them feel how God loves them so much. Please do follow this blog to receive the latest updates of what is happening to our church. You can join our Facebook page and see more photos of the said Medical Mission.